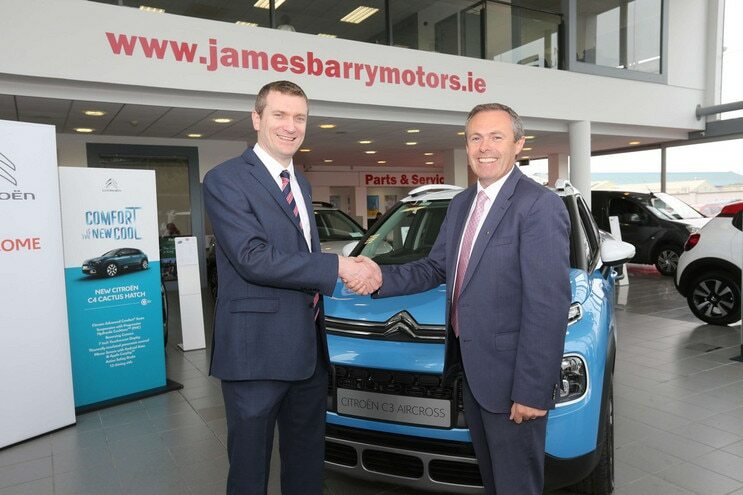 Citroën Ireland has appointed a new dealership in Limerick City, James Barry Motors based on the Dock Road. The dealership is run by husband and wife team, James and Diane Barry, who were visited by Pat Ryan, Managing Director, Citroën Ireland at the dealership last week to sign the official contract. James Barry Motors was established by James in July 2015 and together with his team they have built up a great reputation with customers in the Limerick area and beyond. James and all at James Barry Motors are dedicated to providing absolute excellence in customer service, striving to exceed customers expectations in both sales and aftersales.